SHORT WALKING TIME: 40 minutes one way to the foot-bridge. LONG WALKING TIME: 2 - 3 hours one way to the head of the valley using the mountaineers route. 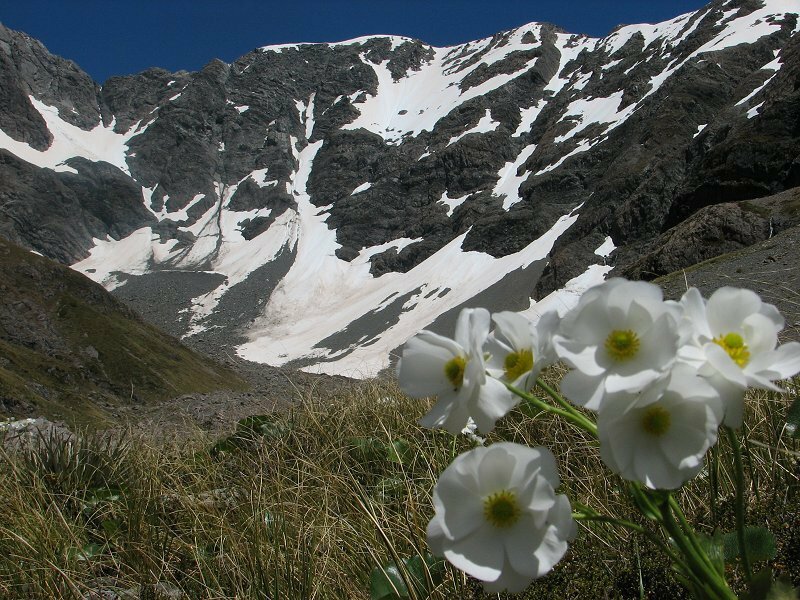 FEATURES: Valley walk, Sub-alpine vegetation. LOCATION:The track starts at a carpark on the West side of the Summit of Arthur's Pass, approximately 7 km from Arthur's Pass Village towards the West Coast. The car-park is difficult to see when travelling from Arthur's Pass, slow down when you see the muddy Lake Misery on your left. 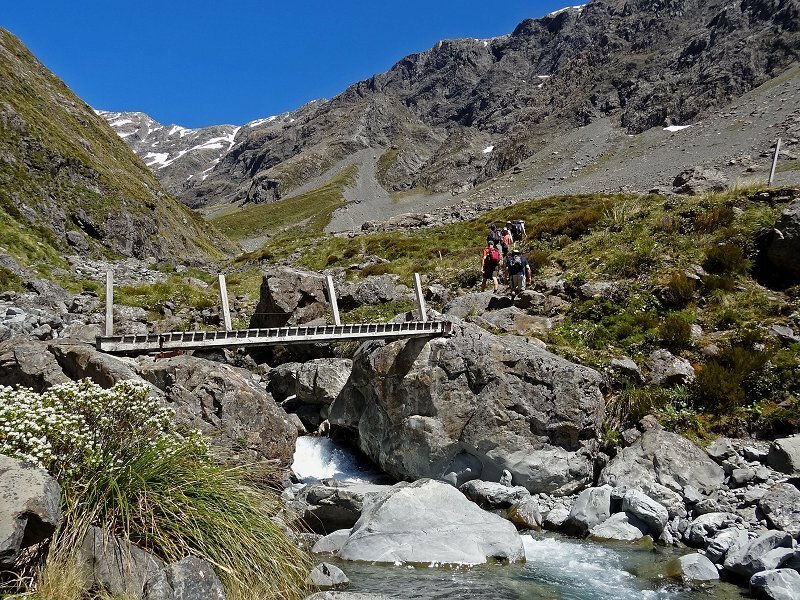 DESCRIPTION: The track climbs over an old moraine, then follows the contour through subalpine scrub and tussock to the Otira River foot-bridge. Beyond the bridge a unmarked route continues climbing across rock screes and boulders to the head of the valley, be careful as there is much loose rock. In Winter / Early Summer beware of avalanches onto the route above the foot-bridge.